We have been honored to know Torica since she entered Mile High United Way’s Bridging the Gap (BTG) program just over two years ago. In the short time that we have known her, we have seen such incredible growth – both academically and personally. 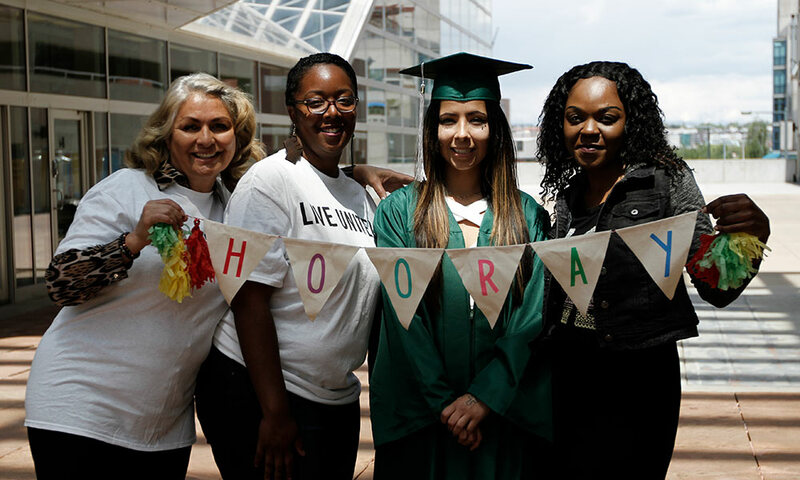 With the financial support of Bridging the Gap’s scholarship, encouragement from BTG staff, and her own tenacious spirit, Torica graduated from Emily Griffith Technical College with a certificate in dental assisting. Like so many of the young people we serve, Torica only needed to believe she could achieve something big, and she did. Learn more about Bridging the Gap and how you can help other young adults like Torica achieve their dreams.